Photo of two of Easter Island’s famous monumental statues, called moai. 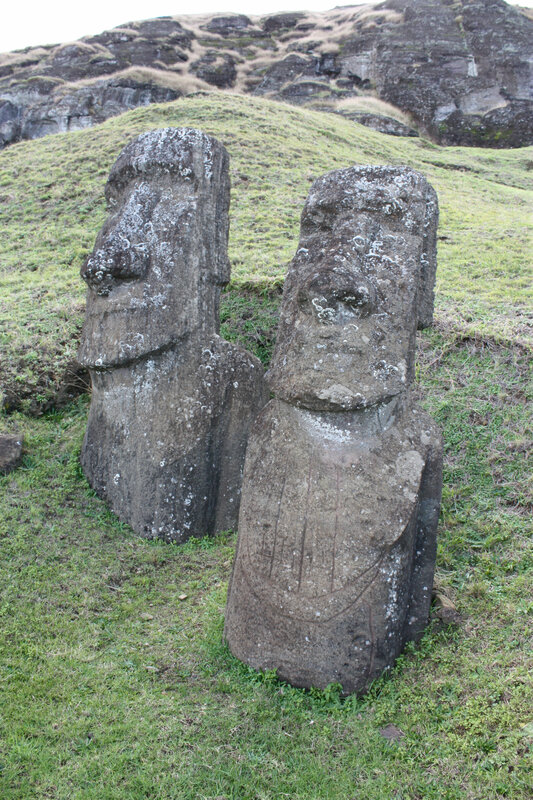 These figures carved from rock were created by the early Rapanui people of Easter Island. To learn more about Easter Island, you can visit National Geographic’s travel section.